Tampa Bay Tech Solutions is a Managed Services Provider for the Tampa Bay area. We specialize in helping small to medium-sized businesses reach their full potential with the use of proactive IT support and the latest technology. We strive to provide the best IT services available at an affordable rate for any business. We strive to provide the best customer service. We are available to answer any of your questions and provide your employees with remote or on-site IT assistance. We work to keep downtime to a minimum and ensure that your business is operating at an efficient level. 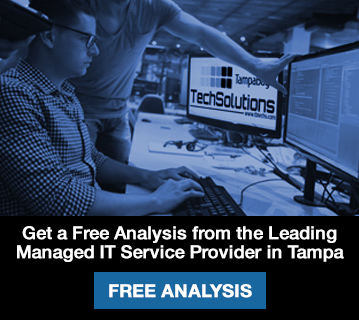 Tampa Bay Tech Solutions is one of the leading Managed Services Providers in Tampa. We are proud to offer wide variety of IT services to help your business reach its utmost potential. Technology is always evolving. 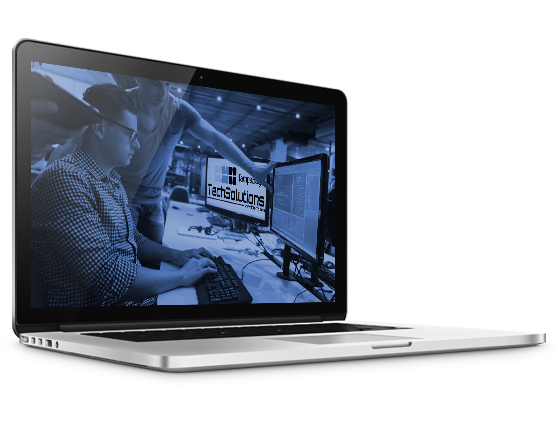 Tampa Tech Solutions stays one step ahead by keeping up to date with the latest IT practices and trends, in order to keep your data safe, limit downtime, and to give your business a competitive advantage. If you wish to learn more about our managed IT services and technology solutions, reach out to us for additional information and to schedule a Free Analysis.